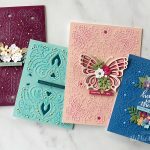 Hello Spellbinders’ fans! 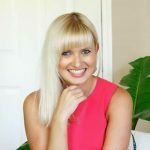 Welcome back to our Quick Technique blog series! 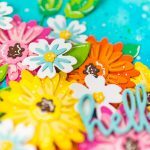 Quick Technique is all about sharing simple projects using our products and showcasing fun and fresh techniques! We hope you’ll love this new installment on our blog and will give some (or possibly all?) of these techniques a try! 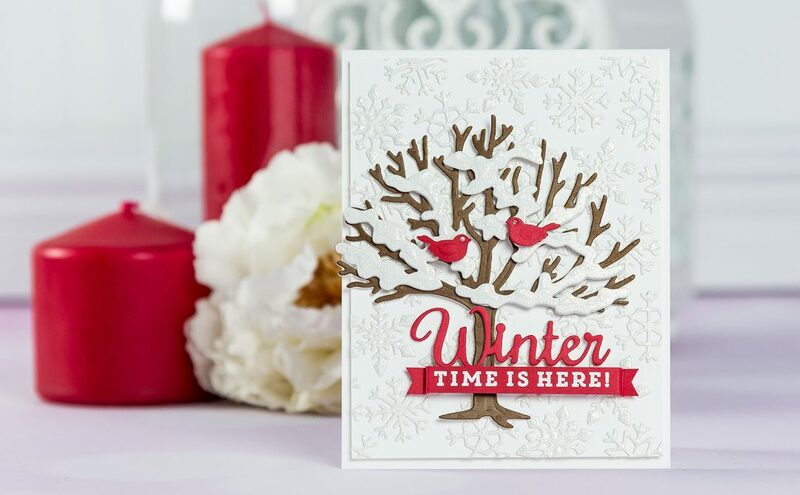 Today we have a fun card to share featuring Four Seasons collection by Lene Lok. Add double sided sticky sheet to the back of glitter paper. Die-cut snowflakes and adhere onto white cardstock panel to create a background. Trim excess with scissors. 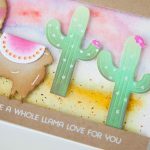 You can use any small die like this to create a unique one of a kind background for your cards. Die-cut 2 birds out of red cardstock. Emboss one the correct way, emboss another one by placing the die cut onto the flat side of the die and emboss the other way to create a mirror die cut. 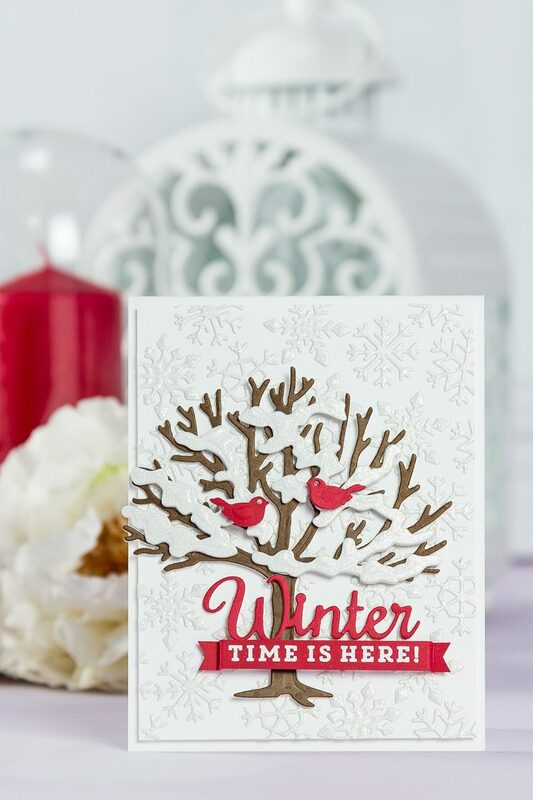 We have a full set of step by step instructions describing how to create this card. 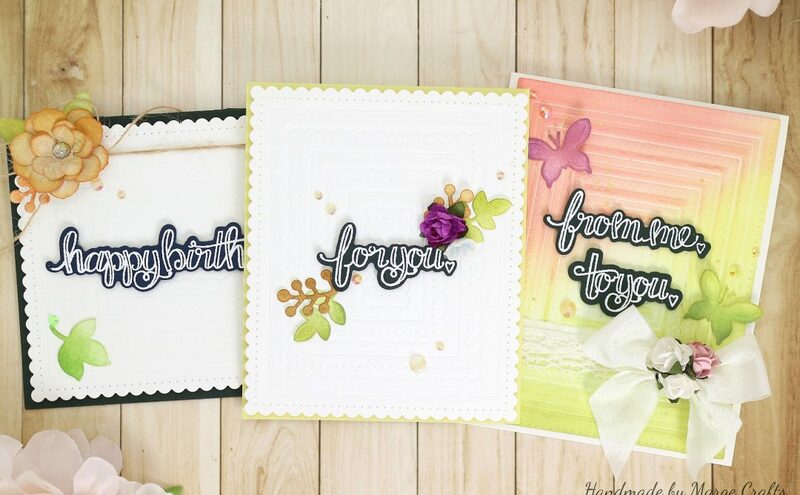 Create A2 top folding white card base out of white cardstock. Cut white cardstock panel to 4 x 5 ¼”. Add double sided stick sheet to the back of glitter paper. 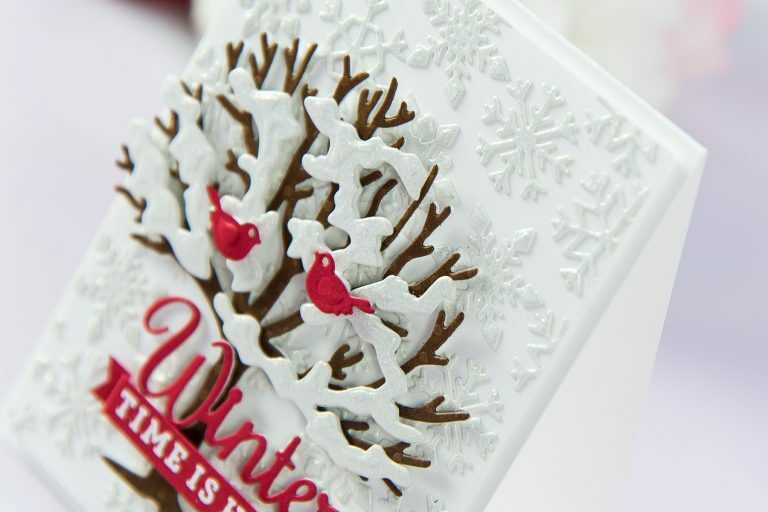 Die-cut snowflakes and adhere onto white cardstock panel to create a background. Foam mount onto the card. Die-cut tree out of brown cardstock. Foam mount onto the card. 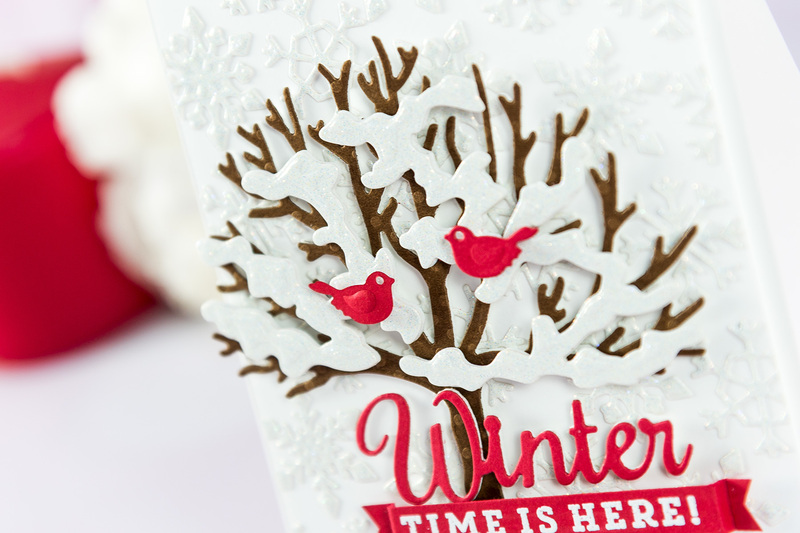 Die-cut snow out of white glitter paper. Add double sided sticky to both sides of fun foam. Die-cut snow out of fun foam. Adhere cardstock die cut onto foam. Adhere onto the card. 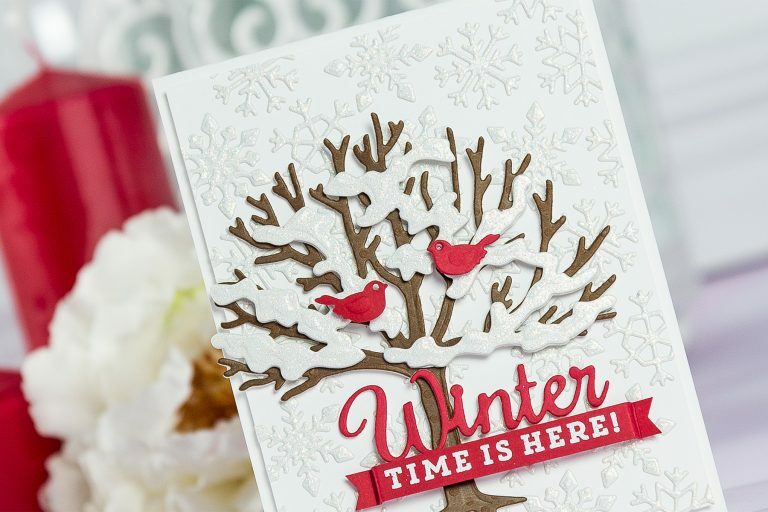 Die-cut Winter out of red cardstock and fun foam. 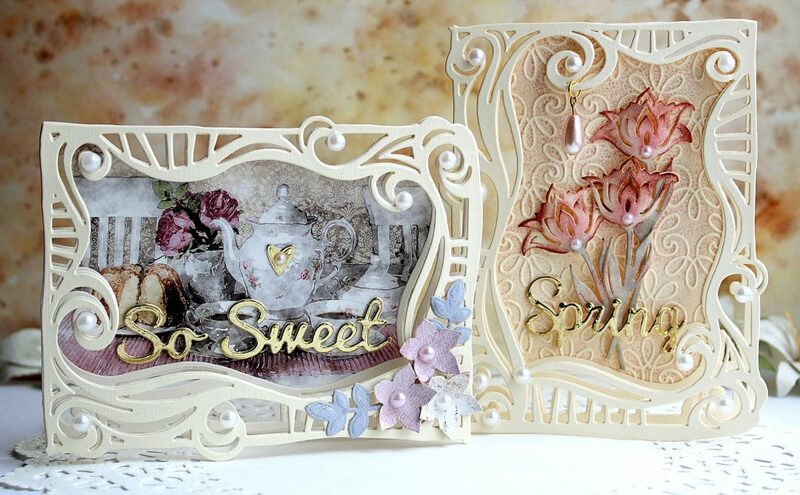 Adhere both die cuts together and onto the card. Heat emboss sentiment in white embossing powder. Cut into a strip and score to form a banner. Die-cut 2 birds out of red cardstock. Emboss one the correct way, emboss another one by placing the die cut onto the flat side of the die and emboss the other way to create a mirror die cut. Foam mount both one the card. White Cardstock (Neenah Solar White 110LB & 80 LB); White Glitter Cardstock; Other Cardstock (My Colors Cardstock – Mini Dots Night Flyer Lily, Heavyweight Chinese Red); Fun Foam; Thermoweb Easy Cut Adhesive; Scrapbook Adhesives Foam Squares; Clear Stamp (Simon Says Stamp – Advent Sentiments); Versamark Watermark Ink Pad; Hero Arts White Embossing Powder; Heat Tool. Have you ever tried these techniques? Will you give them a try? Let us know in the comments below! And have fun die-cutting! thank you, Daisy! So glad you like it! 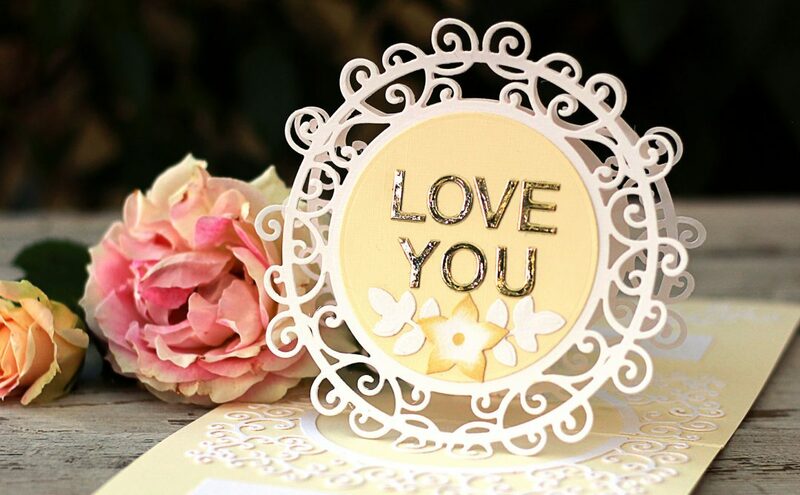 Very pretty card! I’m curious to try out your second technique here. I’ve not tried doing that before. Most of my die cuts are basic ones, so I’m looking to add to them. The tree die looks really nice! it’s a fun one to play with! Thank you, Cathy! I love t his card. So perfect for this time of year. Love this card. Will need to try the reverse technique for the birds. Great idea.